All types of retirement income are subject to Connecticut’s income tax, although Social Security is exempted for some seniors. The state has a sales tax near the national average and some of the highest property taxes in the U.S.
Is Social Security Taxable in Connecticut? How high are property taxes in Connecticut? There are a lot of reasons a retiree might choose to live in Connecticut. 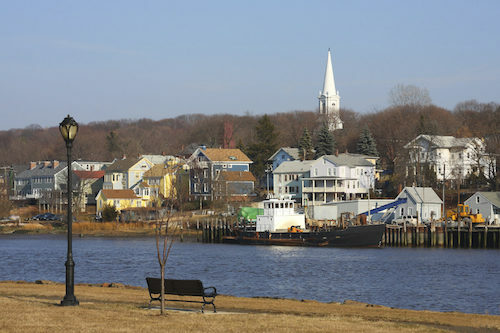 It is spotted with charming New England towns that can offer a peaceful and pleasant lifestyle. The state experiences four seasons and has plenty of trees that are bursting with green from April through September and with dazzling colors come October. The Connecticut coastline stretches for 100 miles along the Long Island Sound, which keeps wave heights low and perfect for boating. Yet, for seniors who are concerned about their tax bill, Connecticut is among the worst states for retirement. All types of retirement income are subject to Connecticut’s income tax, although Social Security is exempted for some seniors. The state has a sales tax near the national average and some of the highest property taxes in the U.S. Overall, the cost of living in Connecticut is 28% higher than the national average. Below, we’ll look at the details on just what makes Connecticut so tax-unfriendly for retirees. Is Connecticut tax-friendly for retirees? No. In fact, it is among the least tax-friendly states in the U.S. Unlike most other states, all forms of retirement income, including Social Security, are taxable in Connecticut. There is an exemption for the Social Security retirement benefits of low-income seniors but Connecticut may not be affordable for many low-income seniors, in part because of the state’s high property taxes. The median property tax payment in the Nutmeg State is more than $5,000 per year. Other taxes that make Connecticut a less-than-ideal destination for seniors include the estate tax, which has an exemption of $2 million. That is less than one-quarter of the federal exemption for 2018. Yes, but it is exempted for seniors with Adjusted Gross Income (AGI) below a certain level. Single filers with AGI below $50,000 do not pay taxes on Social Security income. For joint filers and heads of household, the exemption limit is $60,000 in AGI. For all other taxpayers, Social Security is taxed (along with other sources of income) at Connecticut’s normal income tax rates, which are shown in the table in the next section. 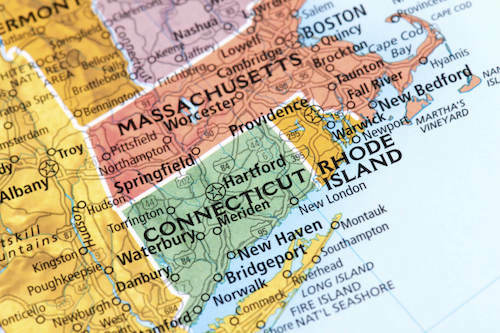 Are other forms of retirement income taxable in Connecticut? Yes. Income from public employee pensions, private company pensions and retirement savings accounts are all taxed as regular income. So, for example, if you are relying on withdrawals from your 401(k) to finance your retirement, keep in mind that you will pay income taxes annually on those withdrawals. Tax rates in Connecticut range from 3% to 6.99%, as shown in the table below. Very high. The state’s average effective property tax rate (annual property taxes as a percentage of median home value) is fourth highest in the U.S. at 2.02%. Seniors who own a home in Connecticut can expect to spend several thousand dollars a year on property taxes and should budget accordingly. What is the Connecticut property tax circuit breaker? The Connecticut property tax circuit breaker is a credit available to seniors who own and occupy their home in Connecticut. It is worth up to $1,250 for married couples or $1,000 for individuals. To qualify, claimants must be at least 65 years old. Married claimants must have income of no more than $43,000 per year. For single claimants the ceiling is $35,300. How high are sales taxes in Connecticut? There’s some good news for seniors in Connecticut here. The state has a single statewide sales tax of 6.35% and no local sales taxes. That means the overall sales tax burden actually rates in the bottom half of U.S. states. Furthermore, groceries in Connecticut are exempt from sales tax. 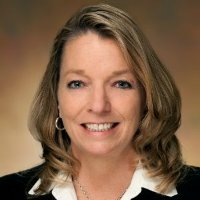 What other Connecticut taxes should I be concerned about? Seniors who are planning for the settlement of their estate and intend to bequeath property or wealth to their friends and family should be aware of Connecticut’s estate tax. The exemption for that tax is $2 million, well below the exemption for the federal estate tax. The tax will not affect any estate with a total value below that amount. Above that amount, however, rates range from 7.2% up to 12%.